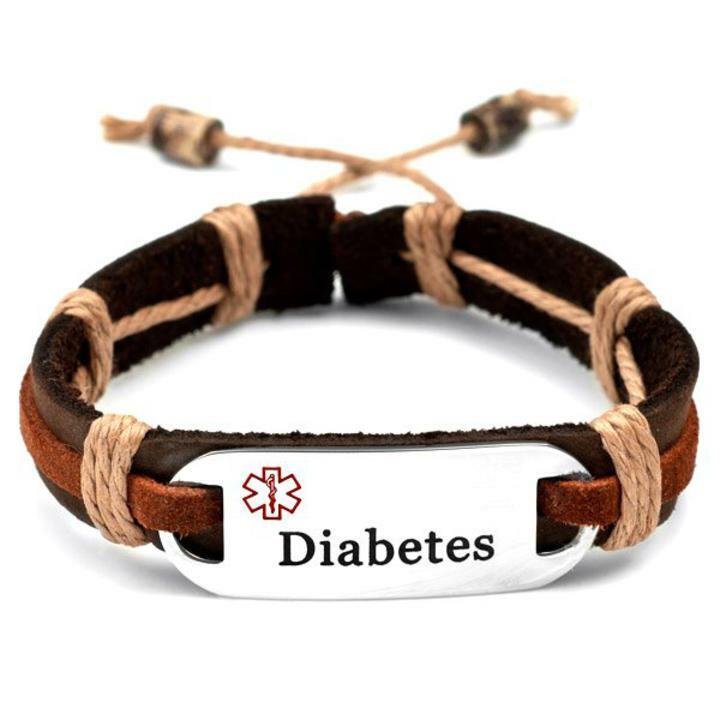 Diabetes dark brown rust leather hemp pre engraved Diabetes on the front medical alert bracelet is adjustable from 6 1/2 to 9 inches. The medical id plate is 316L surgical stainless steel. The Plate comes pre-engraved with Diabetes and rests on the leather! This is not waterproof and should not be worn in water. Great for men, women, teens!